Jane closed the chat box. She did not see a point in explaining a “bot” her pending refund on delayed delivery. “Whatever happened to the good old human-fueled customer service?” she sighed in a state of half exasperation. Jane is an archetype of an average customer, who has seen the days of human customer experience. But, in all honesty, to err is and will always be human. We all have faced customer service woes, spit in our coffee or a deliberately damaged delivery package. While Jane’s bias (a human flaw) might or might not find solid ground, Artificial Intelligence sure is a refreshing change with its learning and an objective outlook – a grip on emotions is a golden skill in customer service. Objectivity, scalability with a bleak prospect of biases and you get the perfect virtual teammate for you. Assists the team in completing daily calendar with its photographic memory of past conversations and constant data backed scalability. Gets through all your IT and Administrative debacles like changing passwords, booking the meeting room for a Monday morning meeting and so forth, without human interference. Office Administration just entered self-service mode. Provides on-demand information and solutions that are most crucial to the team. But, isn’t this the same AI that threatens to take jobs away from humans? Gartner says that AI will render 1.8 million jobs redundant, but will simultaneously create 2.3 million jobs. The job creation for AI just hit a comfortable breakeven. A Pearson, Nesta and Oxford University study says that 40-60% jobs are declining and the surviving occupations will need some serious upskilling. The road from here is clear, AI won’t take away your job, but will take you to a learning road. Companies that got AI automation are 33% more human-friendly and have 31% more productive staff. Employee engagement too gets a boost of 38% in RPA (Robotic Process Automation) and AI enabled workplace. AI takes all the routine jobs and creates an environment for spontaneous professional growth. RPA and AI enabled teams will be 41% more likely to motivate employee growth. Employee experience, conversational agents, automation fueled upskilling and a learning-focused workplace – the future of work is here. Talent Management or the entire talent ecosystem starts with good old recruitment. At the base, automation frees up time spent on initial screening. Ben Reuveni, CEO and co-founder of Gloat says, “The interesting thing is that AI thinks differently from humans, so it can find patterns humans won’t.” AI can curb the human biases and give recruitment data backed analytics, which, the last time we checked was better than a recruiter’s intuition. Time is of the essence and can be the only factor that gets you the perfect candidate in a tight job market. Amazon, for example, is actively looking for more AI talent in the wake of a talent crunch and plans to get more out of “Alexa” with a Barcelona R&D division. The jobs that go AI bound will be customer service and other routines, while the software engineer to strategize the bot will still be a human. Going forward automation will free time for HR managers to upskill and opt for strategic roles that are non-uniform in nature. Conversational agents will not be sitting in the backdrop and help but will be a virtual colleague that keeps the engagement, learning and information flow moving in the right direction. 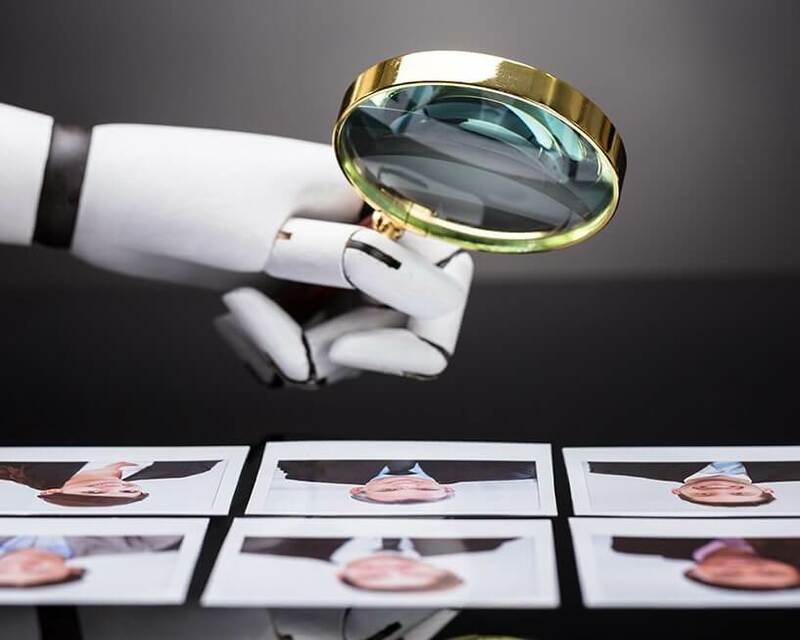 As AI takes the role of screening in recruitment, we need to focus on building a truly inclusive workplace because AI may think differently from us, but learns from human behavior and patterns. The road ahead looks promising with evolution (not a revolution) of AI and human collaboration. The Future of Hiring is Knocking on the Door, Are you Game?